Ensuring identity security on cloud! The enormity of cloud contains many variable factors which are crucial for identity security on data spread across servers and data centers spread across the globe. Client access devices are very small on the cloud and they are scattered everywhere. Same is the case for the personal computers, that are virtual and flow of data packets is continual. This makes the security of identity crucial and very important. As it is obvious on cloud services with the launch of Windows 8 one would be able to access services with a Microsoft account. Apple iPad and iPhone users are already familiar with the iCloud account. With logging account on the different services the credentials used for logging into a service through portable devices and computers must be translate into the encryption recognizable by the services. This provides a lateral security cover to the identity. For the purpose of risk management in the cloud services, insurance sector can introduce various risk management procedures and methods. With risk management it levels down the loss mitigation strategies and methods. With rising incorporation of transaction models into cloud services there is much need for regulating imperfections in modern endpoint security. There is a need of security blanket for stopping malicious activities reaching into the endpoint. And for cloud it is an imperative activity. 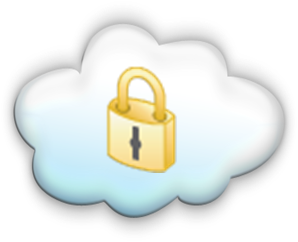 Privacy is another important aspect of identity security on cloud! As far as anyone lives under the impression of being spied the identity crisis will keep on lingering for longer period of time. The technology can play a vital role in this respect instead of passing of laws by the congress and government. And the issue of identity security has also special significance with respect to infrastructure as most of the computing is moving towards service model.